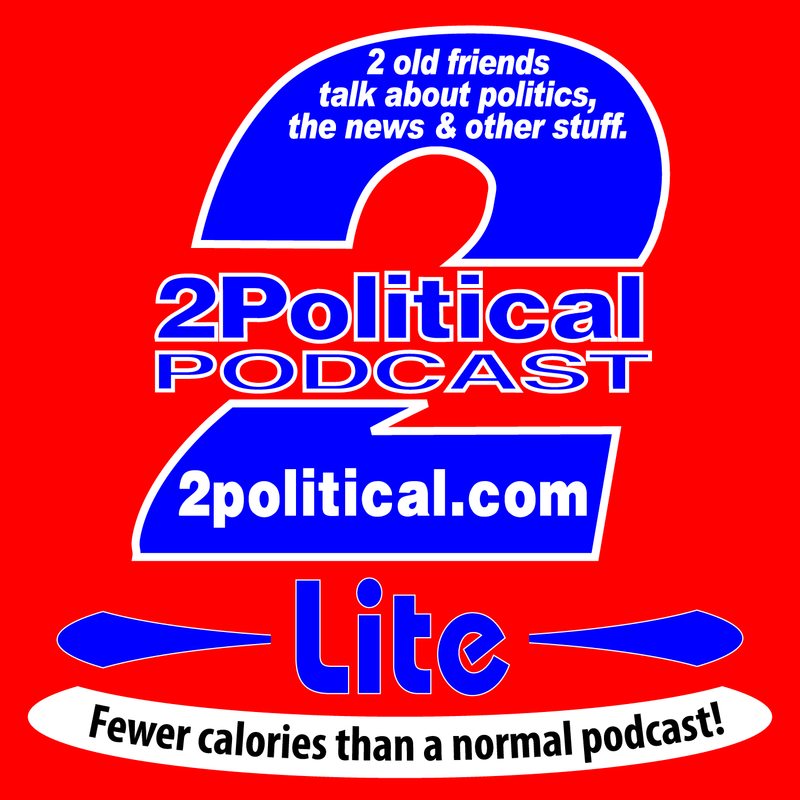 2Political Podcast | 2 old friends talk about politics, the news and other stuff. This is an old-fashioned episode—we talked about all sorts of stuff just like we did all those many years ago when we were just kids! We begin with Arthur joking about spam emails we got, then we talk about scams, too. Then we go on to talk briefly about North Korea setting off nucelar weapons and affecting New Zealand. That, appropriately enough, leads to talk about the Australian government’s postal survey on marriage equality. Responses are due by November 7, but people are urged to post them back by October 27. Like the previous episode, this one was also recorded the end of September, but Arthur’s busy work schedule kept him from editing it. The date of this episode actually refers to when I processed the files—sorry for lifting the curtain a bit. “North Korea poses ‘direct danger’ to NZ, US ambassador Scott Brown warns” – The New Zealand Herald article Arthur mentioned. 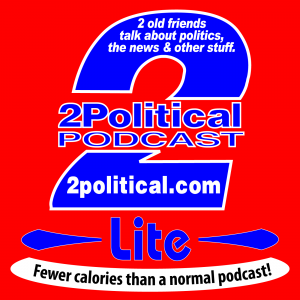 Welcome to the first 2Political Lite! These will be a series of shorter podcasts made by only one of us, and usually on one topic. It may be something we want to talk about in more depth, or even things that just aren’t suited to the regular 2Political Podcast. 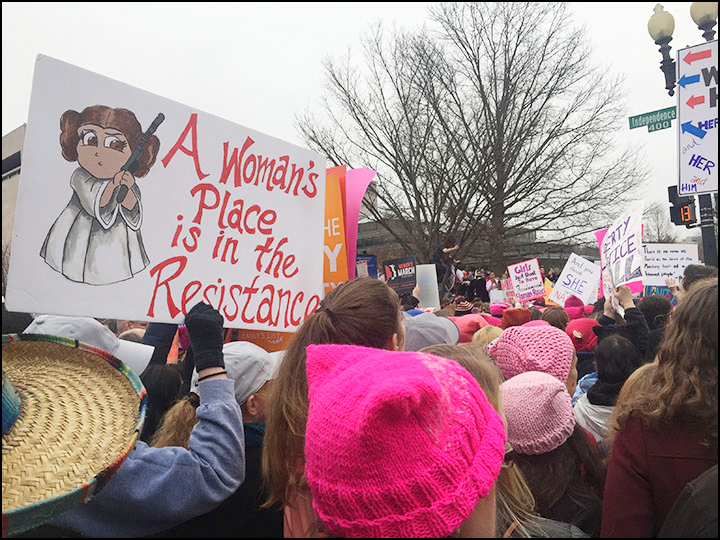 In this first Lite episode, Jason tells us about his experience of the Women’s March in Washington, DC—what he saw and did, as well as a bit on its importance. This is the “colour commentary” we mentioned in episode 122. The photo above is from Jason, who has posted many more to his blog (link below). This is like the 2Political Podcasts episodes of old, one topic leads to another in a meandering path, much as we’ve done our entire lives. Lots of chatting about the things currently being talked about as the new regime nears its beginning. I decided against splitting this episode into two. This is a different sort of episode for us—not unusual, but not common: This is one of those “& other stuff” episodes we mention on our website and album art. This meant that Arthur didn’t rush to edit it, then he got sick. Sigh. Anyway, we’ve already recorded another episode, and will be posted soon. We begin by talking about technical, um, challenges. We have had a few! This led to a discussion of some American things not available in New Zealand. We also talked about baseball—well, Jason did. And, we talk about spotting famous people—and that leads on to famous people dying, some people’s reaction to those deaths and the reactions of people to those reactions. And then we end up NOT talking about comments. The trials and tribulations took their toll! A newer (already recorded) episode will be posted soon (meaning, as soon as Arthur finishes editing it…). When we recorded Episode 118, we thought something was off about the numbering. Then Arthur posted it and found out we were right: Two episodes were missing! What to do? So, Arthur climbed the rickety ladder leading up to the attic space above the 2Political Podcast Studios and started looking around. He saw an old steamer trunk off toward the back, which was kind of odd, since he had no idea where it had come from or who put it there. Even so, he went over and had a look. Behind the truck were some things that had apparently slid off the top. Behind a “Goldwater–Miller” campaign poster, and next to a snowglobe of a rosebud, he found a Zip Disk that said, “Process” on the label. Intrigued, Arthur returned to the 2Political Podcast Studios, but they were far too modern for a Zip Disk. Arthur scrounged around in his personal archives (that is, boxes packed away…) and found his old Zip Drive. He located a SCSI to USB converter, then managed to find software to make his Mac see the drive (provided by a guy named Boris Badenov who promised the monthly payments will stop in only 20 years, something, something, moose and squirrel…), and voila! The Lost Episodes were found. We’ve already posted episode 118, of course, so here are the lost episodes 116 and 117. Depending on your browser and settings, if you click on a link below, it should open-and play-in a new window. Or, you can right-click to download them to listen to later. Or, not.